carsales.com, Australia’s leading online automotive classified site, is constantly challenging its industry and pioneering new ways to search, sell and shop online. Most recently this led it to launch Pitchi, a mobile and desktop application where entrepreneurs and micro-businesses can bring products to life via video. A huge player in the Australian classified industry, carsales.com has highly skilled developers whose daily job is to maintain and innovate the carsales.com Ltd group websites. Pitchi app’s development and deployment was well within their grasp, however they needed to manage cost and time constraints to deliver. These were key to reaching their successful launch into international markets, with USA, UK, NZ, Canada and Ireland being added in the second half of 2015. Changing the classifieds industry isn’t easy. The transition to internet based listings is the only real major disruption we’ve seen, but Pitchi may just open the floodgates to a new way people use classifieds. To successfully engage on a deployment of this scale, carsales will work with base2Services to build on the significant benefits provided by the AWS platform to reduce costs and increase agility. This will enable carsales to remain focused on iteration and the agile deployment of updates. base2Services engineers worked closely with carsales.com.au to resolve issues surrounding deployment and cost. The base2 team of engineers worked in close collaboration as an extension of carsales team to identify and solve issues to deliver success for Pitchi. More importantly though, base2Services passed on its knowledge, enabling the carsales team to emulate and repeat the processes and achieve the same results down the track. "base2 helps us quite a bit, in terms of teaching us and guiding us about what are the best practices inside AWS. Not just doing it for us. They've empowered us, which is really valuable to me and to the team." 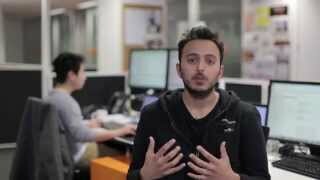 See Mohammad Adnan, Disruptive Tribe Tech Lead, Pitchi, at carsales.com Ltd talk about how base2Services helped them with its new innovative online selling app Pitchi. 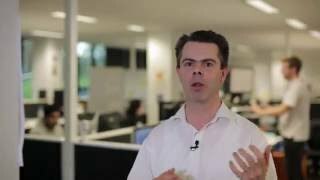 Watch Michael Ridgway, Director of Engineering, Ryvuss, at carsales.com Ltd's, discuss how base2Services helped the Ryvuss search and recommendation product team to achieve an efficient and easy-to-use solution. 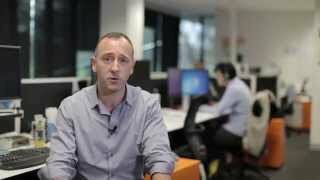 Watch Greg Collins, Disruptive Tribe Lead at carsales.com Ltd, talk about how base2Services is helping them improve efficiencies and deliver its properties to the market faster on cloud based environments.